Today it get's a bit bloody. 2 men return from a robbery that went bad, one of them badly wounded. In the course of time others also come back and they try to figure out what went wrong and why - that means, as long as they aren't busy with threats of killing one another. 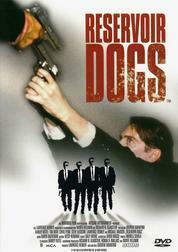 Tarantino movies are never shown in the order of the events that have taken place, this one's no different. This one starts at the beginning of the second quarter, jumps to the third quarter and then fills the gaps of the first, second and fourth quarter. Of course one has to like Tarantino's way of spilling blood or else one wouldn't like this movie. 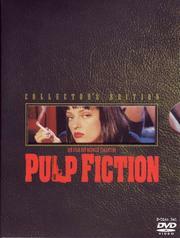 Vincent Vega has just come back from Amsterdam and he get's two new jobs from his underground boss Marsellus Wallace: first he is to retrieve a certain suitcase of Marsellus' and second to give Marsellus' wife a nice evening. The boxer Butch gets only one assignment by Marsellus: to go down in the fifth round of tonight evening's fight. I would say that this is "the Tarantino movie". Despite its unorthodox structure of storytelling it is clear in the end what happened and in what order. But because of this "unordered" structure the first-time-watcher can't tell, when the movie is going to end and that makes it interesting. Jackie Brown is stewardess who flies for a small airline between Mexico and L.A.. Additionally she transports money for the weapons dealer Ordell Robbie. But one day she gets picked up by the ATF (Bureau of Alcohol, Tobacco, Firearms and Explosives) and they want Ordell. While the order of events is pretty much straight up one nonetheless needs one or two convolutions of the brain to understand what plan is hidden in what plan which in turn is hidden in another plan. Additionally there is practically no bloodbath, which is exceptional for a Tarantino movie. 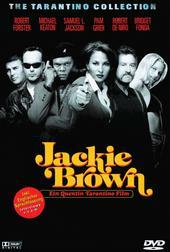 I think Jackie Brown is very underrated. I thought it was an incredible film for several reasons, not least of which, employing older leads than average. It lent the film a strength of character that might see it "out live" his other films. A member of the Deadly Viper Assassination Squad, Black Mamba, gets killed by her suqad during her wedding. Her husband, the guests and her unborn child also gets killed. Only that "the Bride" didn't die but lays in a coma for four years until she wakes up. And then she takes revenge. Great movie. I am a fan of samurai swords and movies in which someone figths with them. And the massacre of the Crazy 88 is perfectly choreographed. The benefit of the Japan cut is that is fully colorized and it is slightly longer, e.g. one learns how and why Sofie lost her second arm. The drawback is that no subtitles are shown when they speak japanese. Watashi wa nihongo ga hanasemasen. 3 finished, 3 to go. The next in line is Budd, the little brother of Bill's. After that Elle Driver and finally Bill himself. But suddenly there is a new element in the game. I like this one as much as the first one but he is defintively different than the other. But I'll admit than I have never watched them with a monthlong gap, i've always watched the second one as a double-feature with the first one. The only thing I had wished for would have been a real end-fight between Beatrix and Bill. I liked Kill Bill part 2 as much as part 1 as well. I was really disappointed in how many people seemed to dismiss it because it wasn't as action packed as the first or whatever. I know what you mean about a decent scrap at the end, but don't think it would have worked. Part 1 is more about the faceless revenge seeking killer, while by the end of part 2, she's more human. 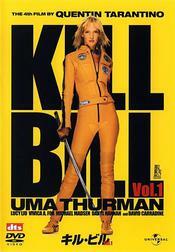 She had to Kill Bill, but she did merely what was necessary.